STACY IGEL: My tips: How I do fittings! My tips: How I do fittings! I learned how to do successful fittings on myself when I worked for Elie Tahari. He used to use me as a fit model during design meetings to see how a top would fit. So I like to start fittings on me and my colleagues before we fit on a fit model. I've found that this is the best way to start the design process… fitting on real women! 1. 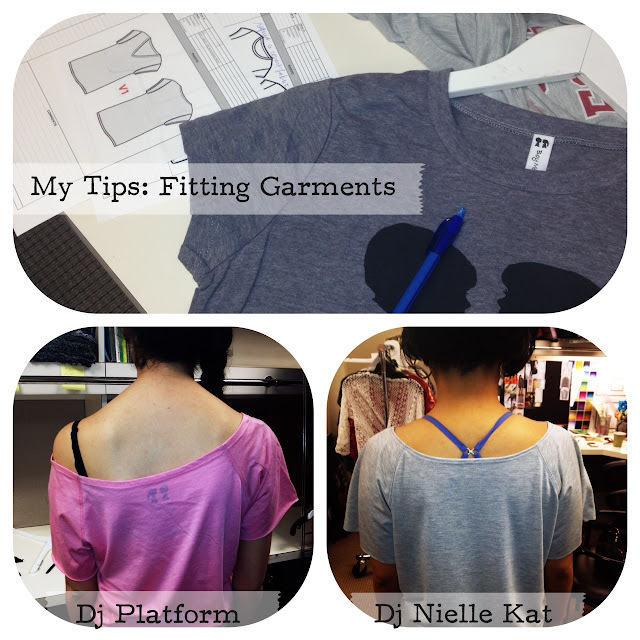 Fit on yourself and/or co-workers to see how the garment fits before using a fit model. 2. Stitching is key to me around the neckhole/armhole/hems. Watch out for puckering! You would think working on a basic body is easy but this is not the case. I think the hardest part is working on a basic body because that bodies success is key to your business. 3. Fit depends on your eye if you are a budding designer. You are the creator of that garment so design it as you see it fit. How do you like these fits? what I wore: This Month! what i wore: to my prom! !